The great discovery is that the Bible is a message system: it's not simply 66 books penned by 40 authors over thousands of years, the Bible is an integrated whole which bears evidence of supernatural engineering in every detail. According to the verse in Matthew above, even the very letters themselves, and the spaces between the letters, testify to a supernatural origin. 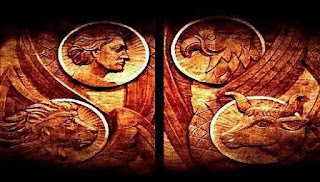 Check out these four hidden messages/proofs in the Bible which barely scratch the surface! 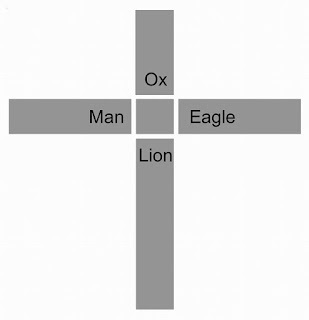 1) Matthew presents Jesus as the “Lion” of the Tribe of Judah. 2) Mark describes Jesus in a way to the “Ox” of Ephraim. 3) Luke likewise describes Jesus here as in the form of the “Man” of Reuben. 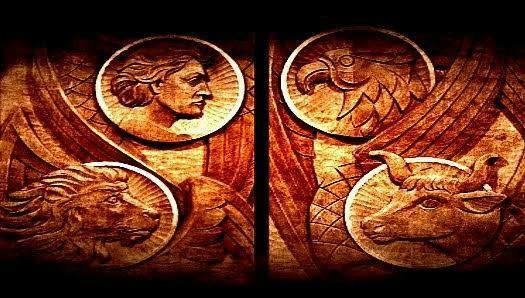 4) Finally, John’s gospel reveals Jesus as the “Eagle” of Dan. When we combine the Gospels we see that all of them describe Jesus from four different perspectives with Jesus at the very heart of the four Gospels, identical to the arrangement of the four beings around God’s throne in Heaven. This is where it gets interesting! 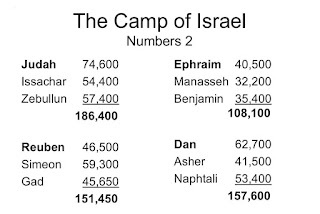 Within the Book of Numbers Chapter 2, the Twelve Tribes of Israel (The descendants of the Twelve sons of Jacob) were told to group together into four separate camps. The descendants of Judah, Isaachar, and Zebulin were to rally in the East side of the Tabernacle. All together they represented 186,400 people. Jesus from four different perspectives, at the very heart of the cross - just like the four beings around God's throne. The Cross appears hidden within the Book of Numbers Chapter 2, centuries before the punishment of the crucifixion was even invented! The first five books of the Bible (the books of Moses) are known as the Torah. 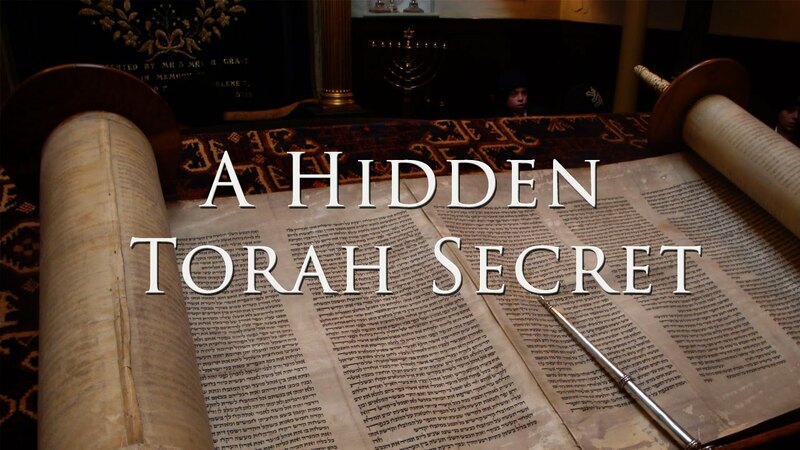 In Hebrew the word Torah is represented by the consonants that are equivalent to the English letters "TORH." In the Hebrew text of the book of Genesis, if you take the first ("T"), then count 49 letters, the next letter (the 50th) is ("O"); the next 50th is ("R"); and then the next 50th is ("H"). In other words, after the first "T", in 50 letter increments, we find the letters spelling "Torah." In the book of Exodus, we encounter the same result. What a coincidence! In the third book, the book of Leviticus, it doesn't seem to work either way. But it does work for YHWH, the sacred name of God ("Yahweh" or "Jehovah," translated "LORD" in the King James Version), if you count in 7 letter increments. In the fourth book of the Torah, the book of Numbers, we discover this 49 letter interval works with "HROT," that is, TORH backwards. A similar 49 letter interval also appears in the fifth book the Torah, the book of Deuteronomy. However, in the book of Deuteronomy the interval starts in the fifth verse instead of the first. Why the fifth verse? According to the Talmud the book of Deuteronomy doesn't begin until the fifth verse. The number 50 has several important meanings. (e.g. 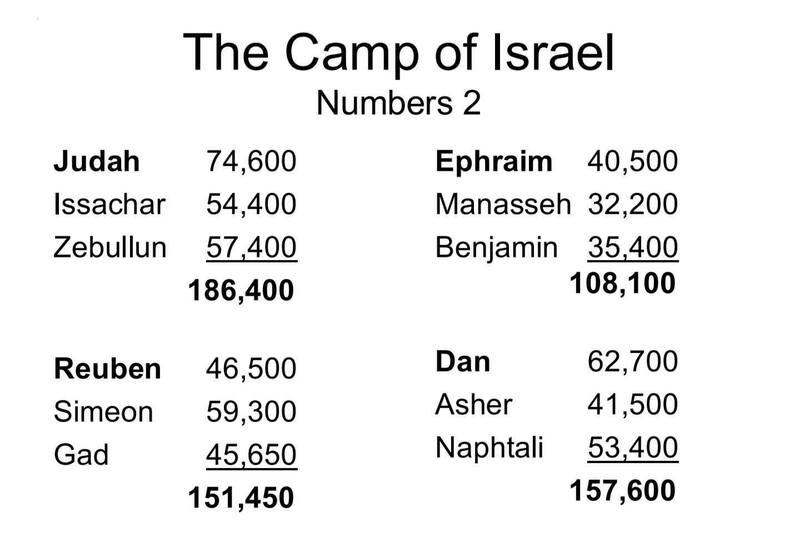 The Torah was given 50 days after the Exodus from Egypt) and the use of seven with the name of God shouldn't surprise us. 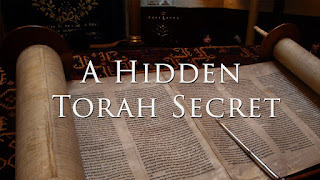 Codes in the Torah, professor Michaelson addresses in detail the mathematical probability of these Torah codes and concludes that "the probability of such a coincidence is about one in three million!" (This is one of hundreds of patterns found in the Torah by Rabbi Weismandel during World War II.) But we're just getting started. There are numerous patterns that have been discovered by computers since 1982. 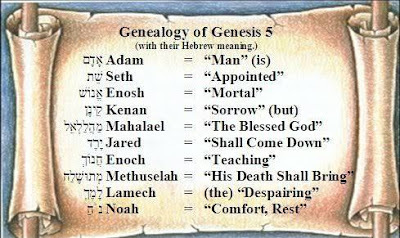 For example a remarkable breakthrough came in 1982 when the computer was used to examine the Torah, it demonstrated that the word (Israel) is spelled out only twice, at intervals of 7 and -50 in Genesis chapter one! A simple calculation shows that the probability of the word appearing once at a given interval in the above verses is about 1 in 1200. The chance of two appearances at the intervals of 7 and 50 either backwards or forwards is 1 in 400,000! Yitzhak Rabin was prime minister in Israel until he was suddenly assassinated after a peace rally in Tel Aviv on November 4, 1995, by Yigal Amir, a Jewish radical. The day before the assassination was the Jewish Sabbath. In the synagogues, the verses being read were from the story of God passing between the sacrificial offering, confirming Abraham's covenant for the land. 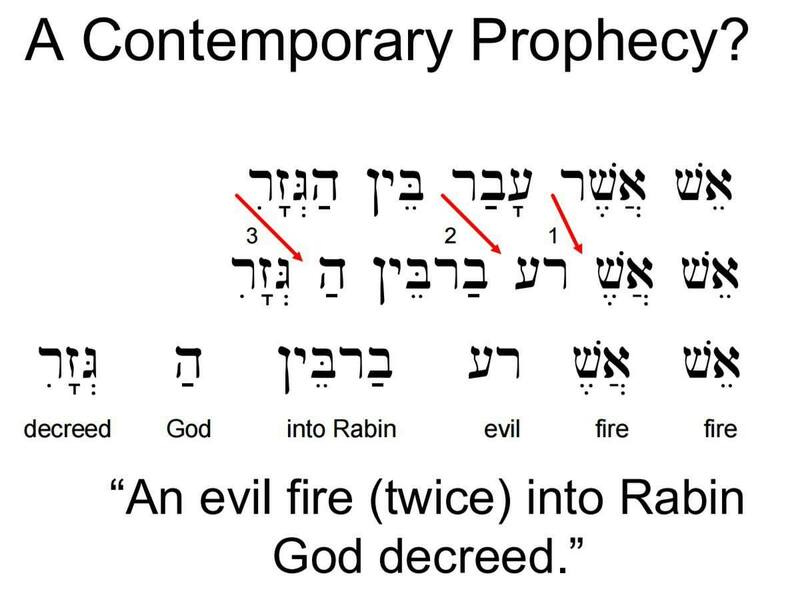 They saw the verse above in the Hebrew text and noticed that if you simply change the spacing between the letters, a message would be formed that is known today as the Rabin code. The passage reads: "...fire which passed between these pieces" (Gen. 15:17). 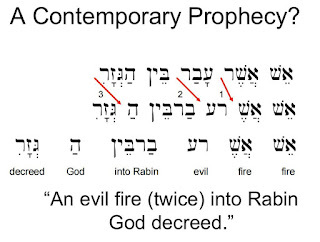 When the spaces are changed between the Hebrew words in the Genesis 15:17 phrase, it reads, esb esb ra' b'rabin, or, "fire, evil fire against Rabin." The prime minister was shot twice, an allusion to the firing of two bullets. What a coincidence! 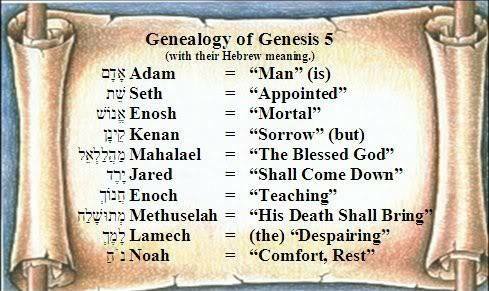 These are the Hebrew names along with the English meanings. Let's put it all together: Man (is) appointed mortal sorrow; (but) the Blessed God shall come down teaching (that) His death shall bring (the) despairing rest. Amazing hidden proof of Jesus from the Old Testament, which was written hundreds of years before the birth of Jesus! See more hidden proof in the Bible here.